Sillicon Valley might be the global leader in tech startups and venture capital, but in terms of residential real estate magic, the valley is way behind. I’m sorry to say that there is another America worth taking a look in terms of the future of living: Latin America. I spent last week in Medellin, Colombia and was very surprised at the local real estate scene. 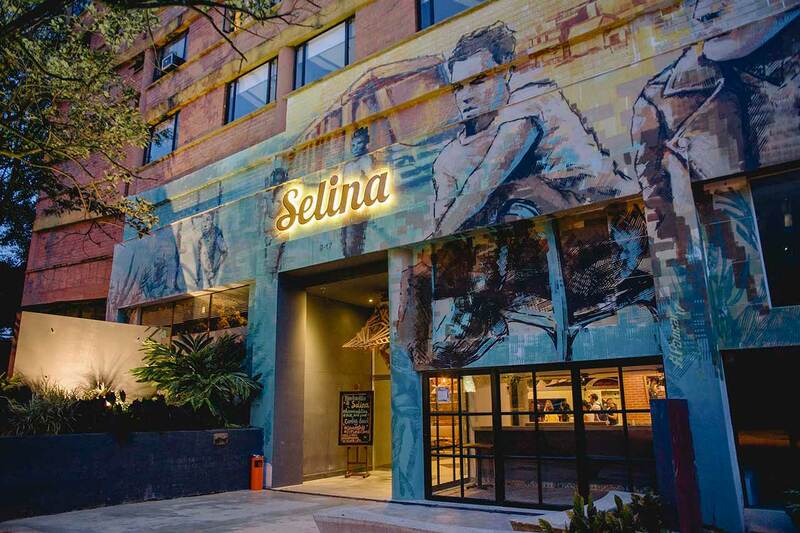 Besides recent investments in public transit and new pedestrian friendly neighborhoods, there is a fresh global vibe brought by one project: Selina. Selina stands on a category of it’s own. It can be described as a combination of a hostal, long term appartment rentals, a large coworking space, a recording studio, a café, a bar, an outdoor yoga studio and a huge adult playroom. But words will fall short to describe the community you get to experience when you’re there. Selina is definitely an inspiration on the way we will live in the future. 60% of residents come from Europe and are part of a global program that Selina has to relocate creative and knowledge workers from expensive cities to cheaper, warmer places. Global real estate. Selina is extremely inclusive. It has $15 usd/night shared rooms and $350 usd suites. And amazingly these are located on the same floor. Inclusive real estate. Almost every piece of furniture was refurbished from pre-existing materials and pieces (even sculptures and light fixtures). Circular economy design. Almost 20 artists participated in creating hundreds of murals throughout the building. Every floor is different and every wall is instagram worthy. Art infused real estate. The recording studio hosts aspiring artists from around the globe to create great quality content without the pricetag. Collaboration and inspiration filled real estate. Every Selina employee has to volunteer 4 hours a month to the community. These hours turn out to be salsa lessons, conversational spanish classes or even events for improving public spaces. Real estate that thinks outside of the fence. Activities are crowdsourced from the community to create a full eclectic content calendar. Content driven real estate. More than half of residents and visitors actually use the coworking space. In some projects amenities are just selling features. Here there is an actual workation community. I do not intend to promote the Selina or Medellin brand. I’m just a guy looking for extraordinary real estate, and sometimes you will find those projects in all the wrong places. Hopefully one day the “developed” world will catch up. Let’s build real estate projects worthy of the future.